We discussed about RDM in detail post and here I am going discuss about configure RDM as a Physical Compatibility disk to virtual machine. 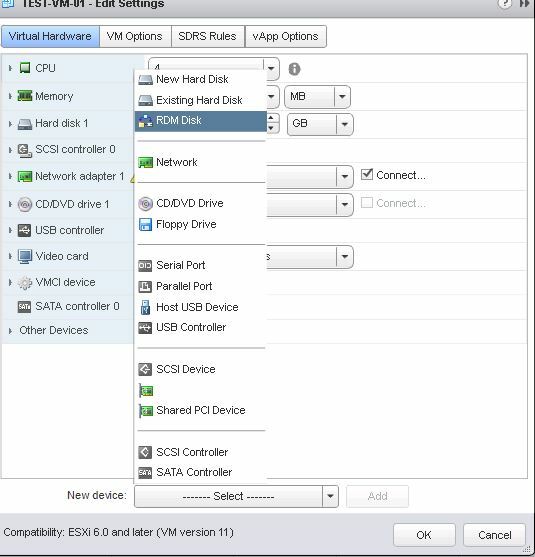 Virtual Compatibility RDM Disksact same as a virtual disk file, including the use of snapshots. 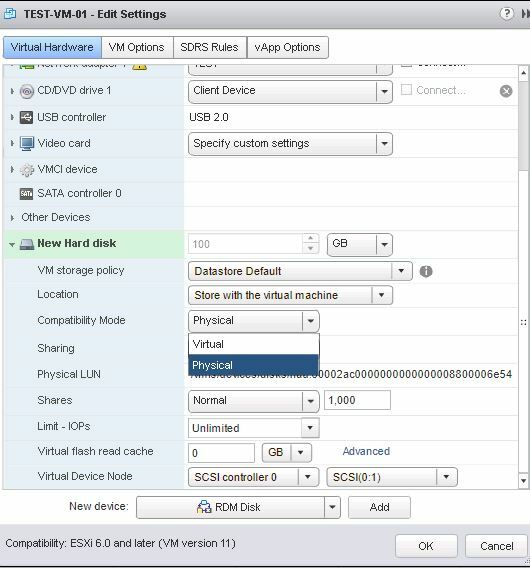 There are 2 ways we an create physical compatibility RDM disks , through CLI and vSphere Web Client. 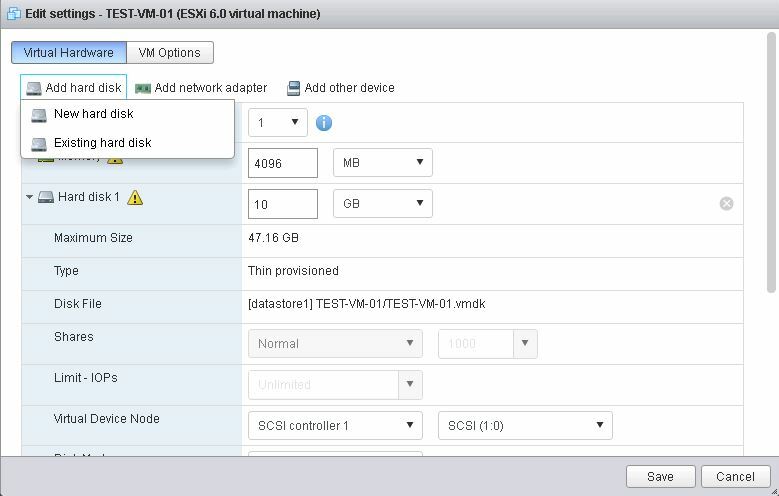 For this procedure we are using vmkfstools , for this we should know the NAA ID of the physical LUN which we are going to add it as RDM disk to the virtual machine. Next change the directly , cd towards specific folder where you want to keep the RDM mapping file and execute the below command . 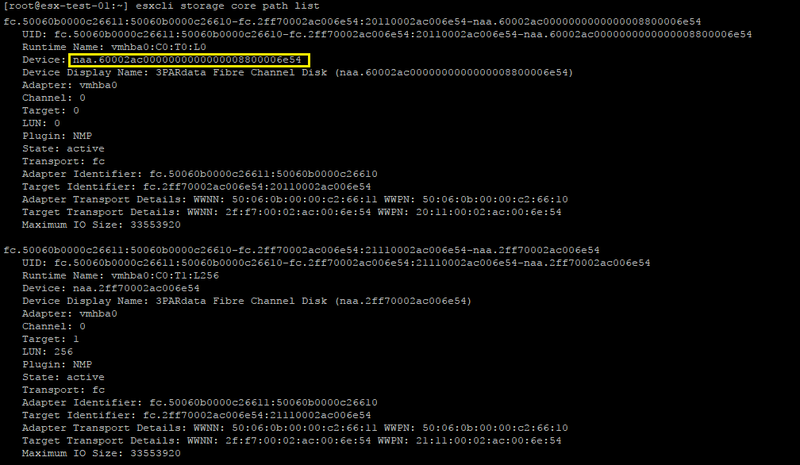 Verify that there will be two available in side the folder where  diskname-rdm.vmdk  & diskname.vmdk using " ls" commands from the folder.  Browse RDM Mapping file – > Select the VMDK and Click Ok .
RDM disk appear as similar to below . 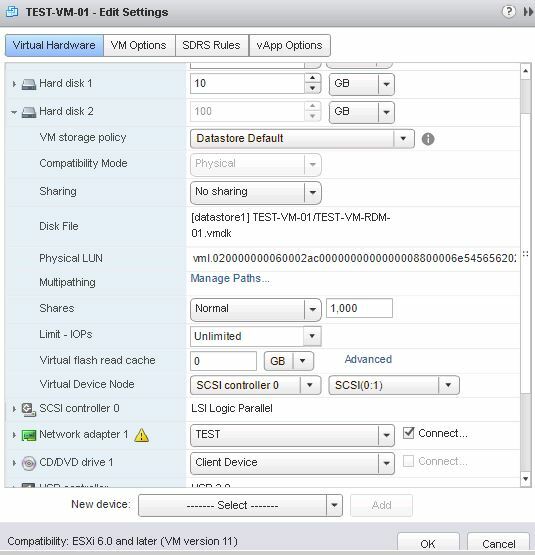 login to vCenter Server using vSphere Web Client or ESXi Host Web UI. 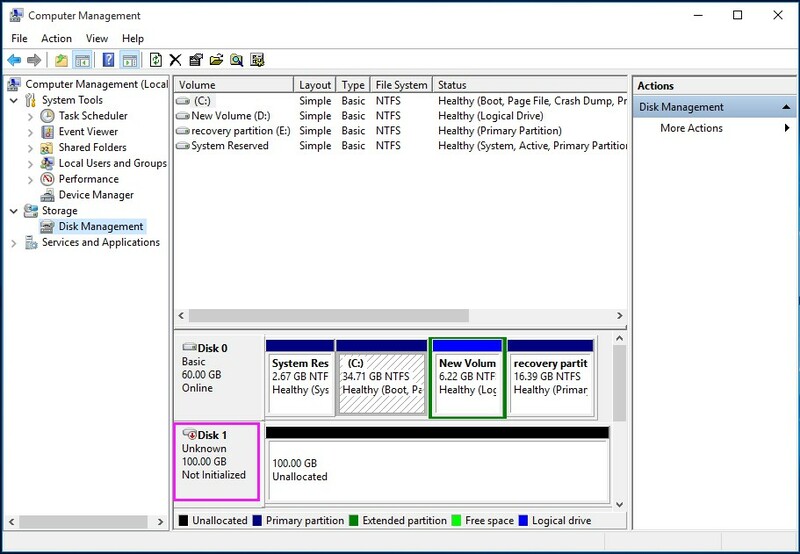 Select the required LUN to create it as RDM disk in the virtual machine and Click on Ok. 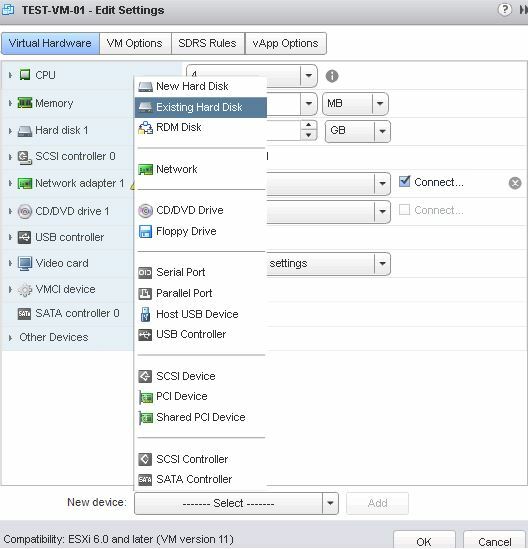 Select or Change compatibility Mode to “Physical” and also you can specify the location of the RDM Mapping file. 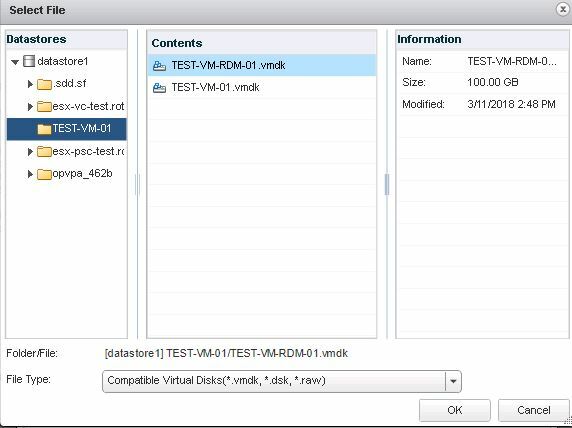 You can choose either store with the virtual machine or select any specific datastore. 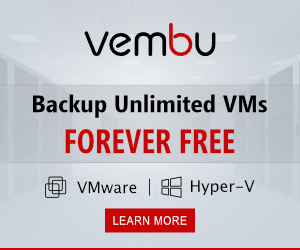 Click OK.
Now login to the virtual machine and verify the 100 GB uninitialized RDM , you can create a partition on the attached RDM disk an start using that .